Etiquette rules have always been around. Like us, they have evolved with changes in society and technology. At the core is the on-going conversation about the ways we show up recognizably respectful. For many of us, dessert is the favorite course of the meal! Depending on what your dessert consists of, it may be served with a fork, a spoon, or both a fork and spoon. 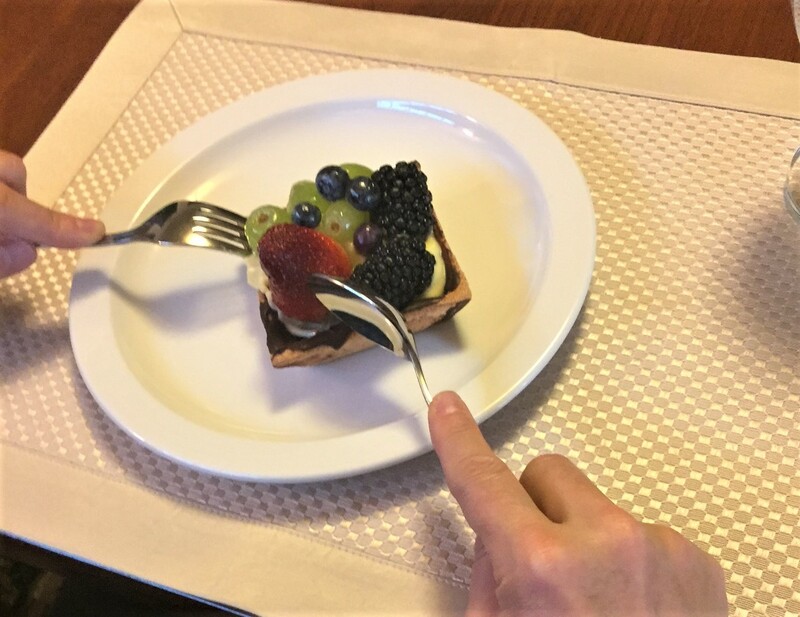 Like other courses, the dessert course also has resting and close-out positions for your utensils. 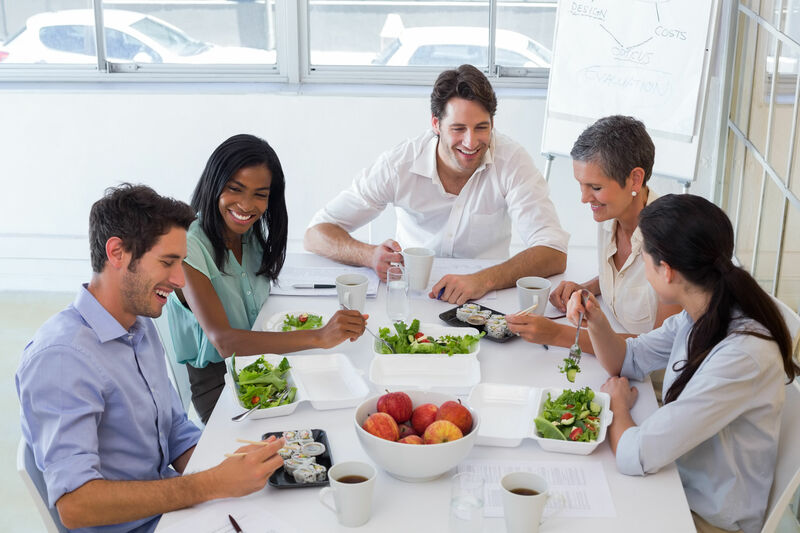 Working lunches may consist of you and your colleagues bringing your own lunches and eating while meeting, or having food delivered in. Though this type of business lunch is not fine dining, your good manners are called for. Finding yourself in the company of someone who can't simply disagree and let go creates an uncomfortable situation. Being etiquette-ful implies that you are willing to "not going there with strong feelings." Etiquette is aimed at peaceable interactions, even when there may be an underlying disagreement. My goal is to explore how these rules can become personal guidelines for courteously civil professional and personal lifestyles. As a body of "how-to" knowledge, tapping into etiquette helps you navigate any situation gracefully. Discovering how etiquette applies to you will bring confidence and help you feel comfortable whether you are meeting someone new, hosting an event, mingling at a party, or dining at a formal table. But be careful—becoming etiquette-ful is addictive! I conduct customized learning sessions and trainings for your workplace, university, sponsored group, or conference. Providing a relaxed, fun, and informative learning experience is always top priority! Read what some participants gained by attending my training sessions. Explore the 200+ articles on this site by typing in a keyword(s) in the search box below. You'll find lots of information and tips for making courtesy a daily practice! Need help finding the right keyword? I have some ideas for you in my "index." Subscribe to Etiquette Entries - my biweekly email containing current, relevant etiquette tips to help you in your "business of life". Join the conversations on my social media pages - Instagram, Facebook, Twitter, and LinkedIn. Send me your etiquette questions. I reply personally to you, and you'll likely see your topic addressed in a future issue of Etiquette Entries or in my Etiquette Blog on this website. Subscribe to Candace Smith Etiquette via RSS and be the first to see new articles posted on my website! Let's get rid of the confusion surrounding etiquette rules and get on with our business of life. After all, life is waiting and we have a lot to look forward to!